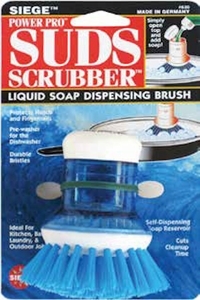 Brand new, Siege, Power Pro Suds Scrubber, Liquid Soap Dispensing Brush, Blue, 630B. Made in Germany from the highest quality materials. 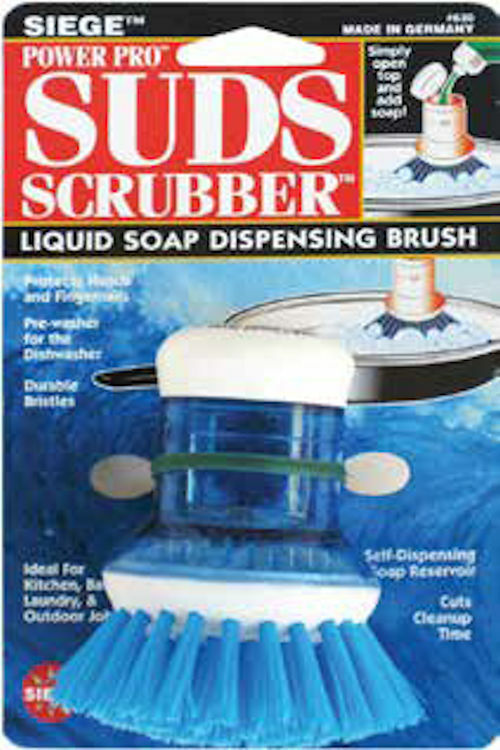 These brushes’ durable bristles are designed for all cookware surfaces. Protects hands.